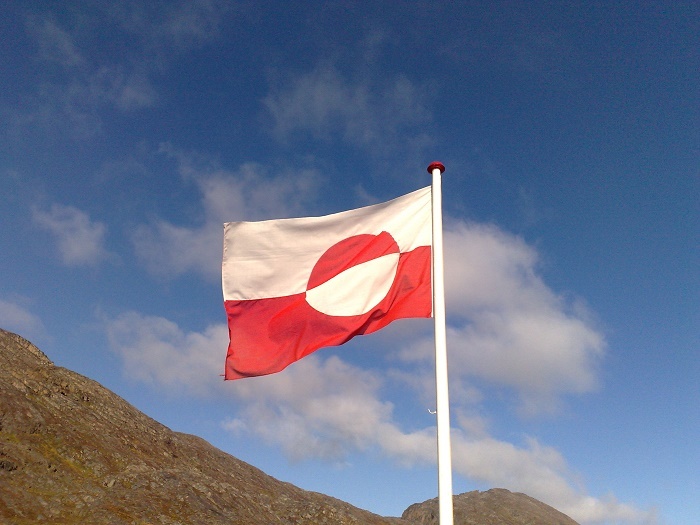 Gunnbjørn Fjeld, sometimes referred to as Gunnbjørn, is the highest mountain north of the Arctic Circle, as well as the highest mountain within the autonomous country within the Danish Realm, Greenland. Standing at an elevation of 3,694 meters (12,119 feet) above sea level, got its name from the Icelandic Sagas, which refers to the mythical Norse Hvitserk, literally meaning “whiteshirt”. 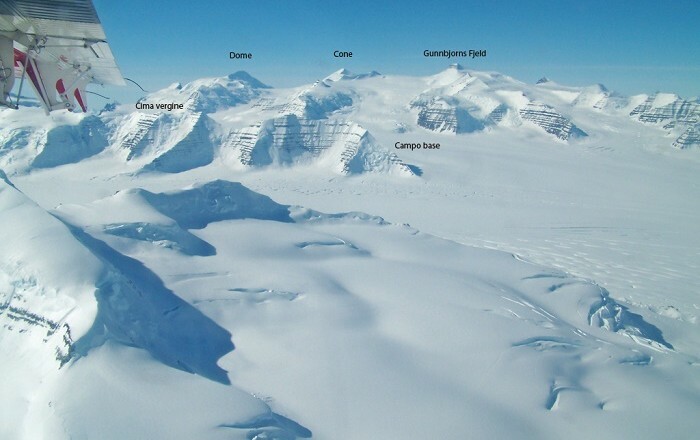 The interesting feature of the mountain is its peak which is nunatak, or in other words an exposed, often rocky element of a ridge, mountain, or peak not covered with ice or snow within or at the edge of an ice field or glacier. The case with Gunnbjørn is that it represents a rocky peak that is protruding through glacial ice making it quite unique. The mountain is located on the eastern side of the island, making it part of the Watkins Range, which is the highest range within the nation. 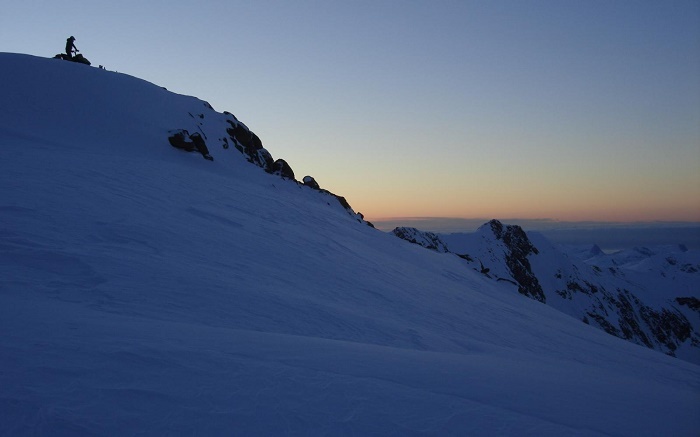 There are additional summits that too are over 3,500 meters (11,483 feet) above sea level. 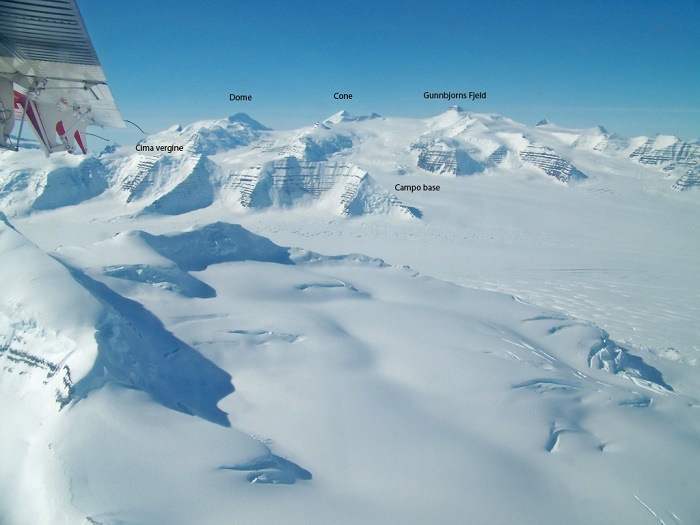 Because of the huge size of Greenland, Gunnbjørn Fjeld has been called the 8th continental peak, and as a matter in fact it is easily accessible on a ski-plane from Iceland. 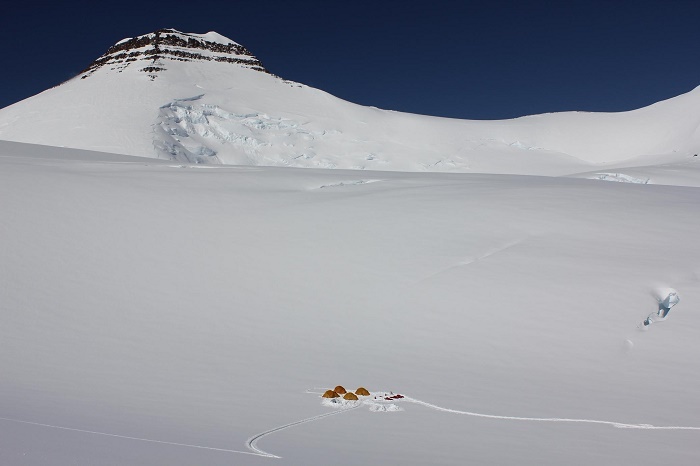 There is the possibility for people to climb the top of the nunatak that can take up to 5 days. The mountain peak was first seen in 1934 by the British expedition of Martin Lindsay, and the next year was ascended for the first time. The first ascend was done on 16 August 1935 by Augustine Courtauld, Jack Longland, Ebbe Munck, Harold G. Wager, and Lawrence Wager, and later until the summer of 1988, there has been another two ascends to this desolate place. The first one in 1971 by the Anglo-Danish expedition lead by Alistair Allen and the second one in 1987 by the expedition of Stan Woolley. After 1988, constantly there have been between one and three expeditions climbing the mountain each year. At the end of 2010, a total of 60 ascends is believed to have been performed, however, the majority have all been organized or guided by Tangent Expeditions or other travel agencies. There is also the possibility for climbers to reach too the second and third highest peak in the Arctic, nonetheless, this requires a great deal of effort and definitely is a trek for those who are professionals in the field. Surrounded with snow fields, that are quite dangerous at any given time, Gunnbjørn Fjeld will give the breathtaking views of those who are in love and impressed not just from the Arctic conditions, but also from the sheer quietude it can offer during the summer months.